If you’re thinking of buying a home south of the border a new comparison of the disparate range of prices across the largest markets may be useful. A new analysis by Zillow Research has looked at median home prices across the US to work out how much home a dollar would buy and how that has changed over time. 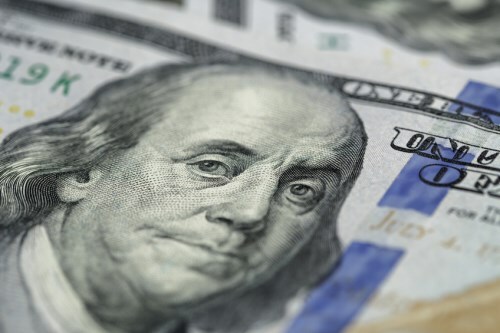 "A dollar today isn't what it used to be, particularly when it comes to real estate in light of the rapid pace of home-value appreciation that the American economy has witnessed over the past half-decade," said Zillow senior economist Aaron Terrazas. 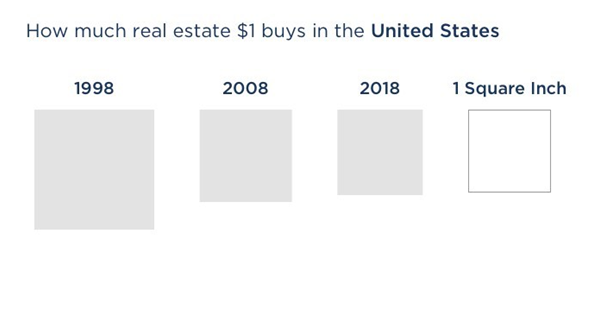 Zillow says one dollar will buy you 1.07 square inches of the typical US home (about the size of a postage stamp), but ten years ago, it would have bought 1.23 square inches, and in 1998, it would have stretched to 2.09 square inches. But this varies across the country, from San Francisco (0.14 square inches) to Memphis (2.5 square inches). Home values across the country rose 8% over the past year, and Zillow is forecasting them to appreciate another 6.8% over the next 12 months. Over the past year, home values in the cities of Baltimore, San Jose, Las Vegas and Dallas appreciated the most. The median US home price is $220,000.